Royal Air Force College Cranwell is probably the most famous landmark in RAF history. Cranwell Aviation Heritage Museum portrays the fascinating story of this historic establishment from its early days as a Royal Naval Air Service base to the current day. The experience includes interactive exhibits including a Jet Provost flight simulator, Vampire Nose Pod, exhibitions and artefacts. 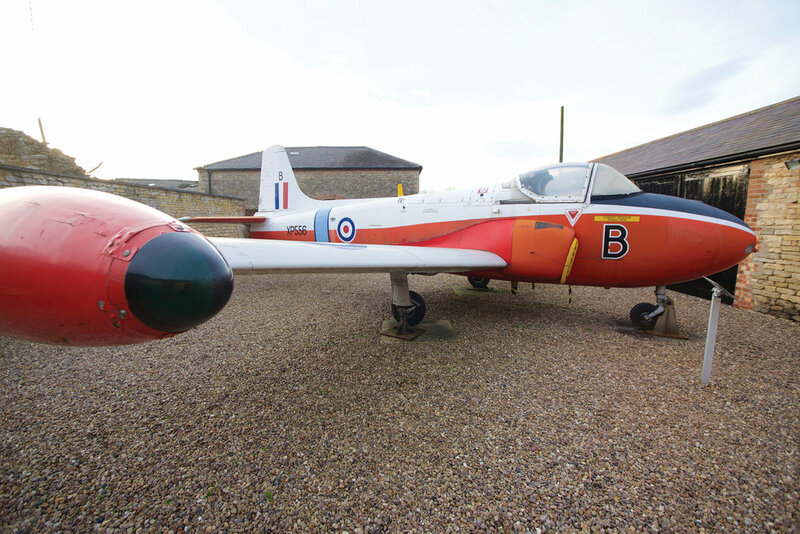 There is also a courtyard area with a Jet Provost aircraft. The museum also runs a programme of fascinating exhibitions exploring the wealth of aviation’s remarkable heritage as well events suitable for all ages. Group and school visits are welcome by arrangement. Please click here for information about our school workshops and loans boxes. Open: 1 Apr to 31 Oct: Daily, 10am to 4pm - last entry at 3.30pm. Please Note that every Monday during term time we will open at 1.00pm, due to school visits. 1 Nov to 30 Mar: Weekends only, 10am to 4pm. Free, with a nominal charge for group visits.